In the country where I was born, New Years is a big deal. The entire country celebrates. People dress up in their fanciest outfits and party all night long. I mean, it’s serious business. So even though I don’t live there anymore and I am in Canada I still have that mentality. I feel like although here people party as well, a lot of times, New Years is spent low key. I cannot have that! A few posts ago, I told you about Prom Times and their gorgeous gowns. When I say I have to have the fanciest, prettiest, dress as my New Year oufit, I ain’t lying lol. These dresses are not strictly for New Years. They can be worn for any special party, event, etc. But here are some items they feature on their website. 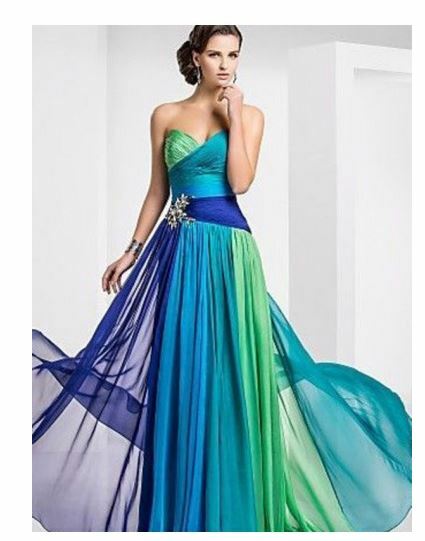 I have selected these from their various sections, cocktail dresses, evening dresses and prom dresses even! This is a beautiful flowy soft pink v-neck dress. I love gold as I am sure you’ve noticed from my posts, anything from my clothing to my accessories. Here is an elegant gold dress I adore. If you are truly anything like me, then you love colour and detail all at the same time. I am quite over the top with a lot of my clothing choices. This dress got it going on! Lastly, here is a shorter, more simple dress that I could wear to not only New Years, but any night out on the town. Red is a power colour and when you put it on, I just feel like I can conquer the world! Let me know guys what you normally do for New Years? How do you celebrate? What do you wear? BTW, I cannot believe it’s almost 2015!!! !